Popular podcast app Pocket Casts picked up a big update today to version 7 that includes a handful of important changes. First, we’ve got a new “streamlined” interface that’s fill with darkness and a bottom navigation bar. It’s a nice change from the previous top menu bar that felt like pre-Material Design days. The Pocket Casts team also says that they’ve overall made it smoother, faster, and better. 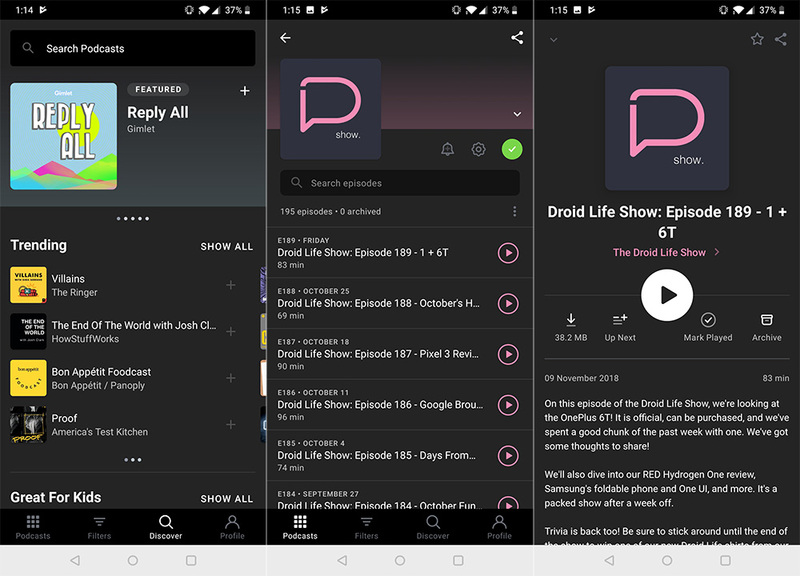 You can now play podcasts without having to subscribe, search podcast episodes, find Up Next Syncing to other platforms, and view your Listening History, which is a history of all that you’ve listened to. The big update is available now in the Android beta channel. Links below to get you into that.